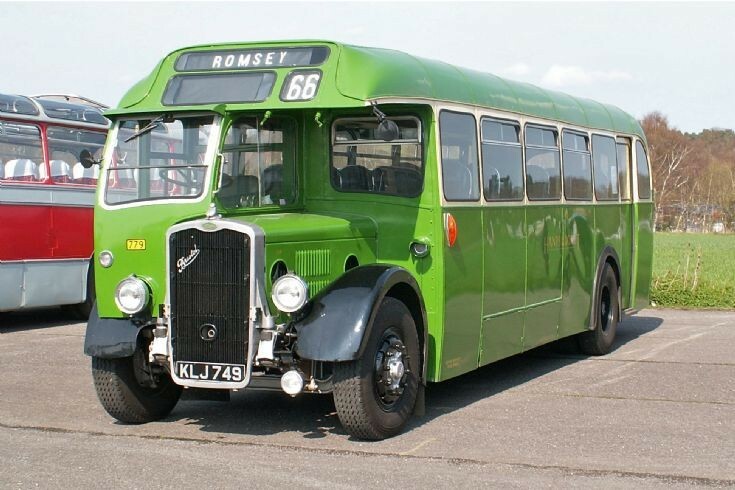 Bristol LL5G in Hants and Dorset livery, 779 (KLJ 749). This rear entrance bus has bodywork by Portsmouth Aviation. Seen at the Chobham Rally April 2005.